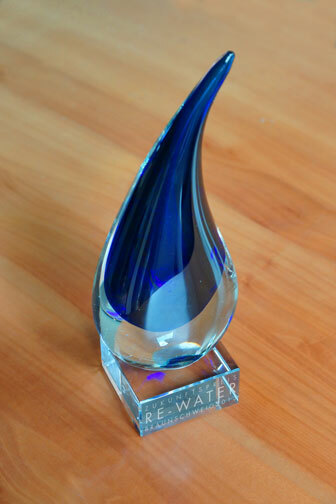 The RE-WATER Award is awarded this year for the third time and again is worth 5,000 euro. presentations, projects, initiatives and ideas that promote and optimise water recycling, to present them to the public at large and increase their visibility. At the same time, awareness amongst the population is to be raised about the environment. The prize is intended to encourage people to become actively involved in protecting nature and the environment, and to strengthen a future orientation along the lines of sustainable development. 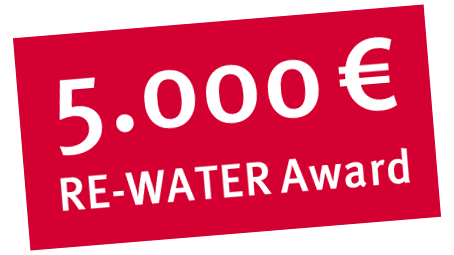 All papers accepted for the International Symposium automatically participate in the competition for the 5,000 euro RE-WATER Award. 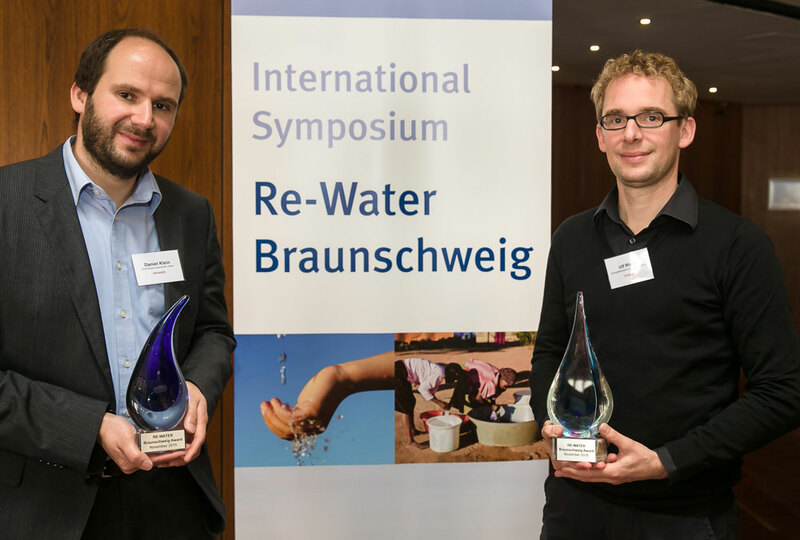 In 2015 they share the Science Prize “RE-WATER Braunschweig”. It was endowed with 10000 Euros prize money. Dr. Daniel Klein (left) and Dr. Ulf Miehe. 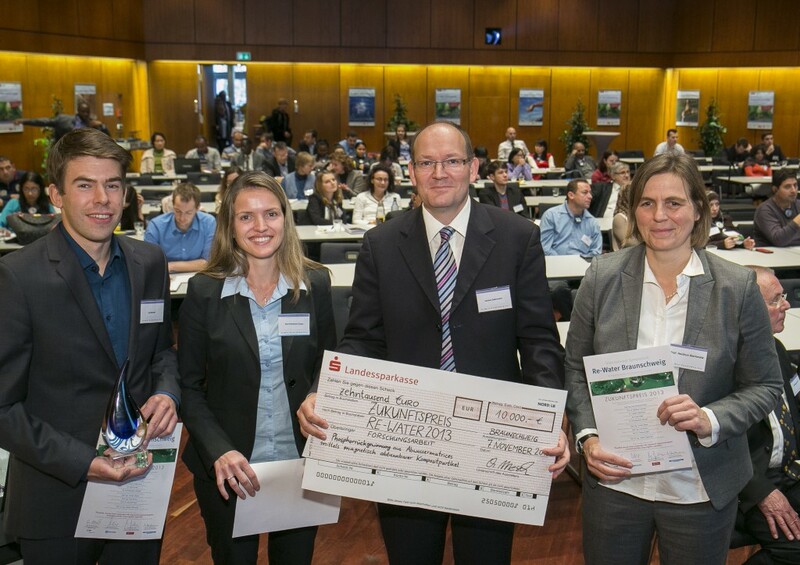 In 2013 for the first time as a part of the 4th International Symposium RE-WATER Braunschweig the RE-WATER Award worth 10.000 € was awarded for the Paper „Phosphate recovery from wastewater with engineered super-paramagnetic composite particles using magnetic separation“ by a team of Universität Stuttgart (ISWA/AWT), Fraunhofer-Institut für Silicatforschung ISC and Universität Würzburg (Matsyn), KIT (IFG).